Description: On April 10, Maj.
Gen. Fred Steele’s Union forces, combined with Brig. 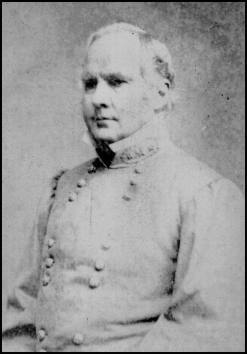 Gen. John M. Thayer’s division, marched south from the Cornelius Farm. They soon encountered a Confederate line of battle at Prairie D’Ane and attacked, driving it back about a mile before being checked. Skirmishing continued throughout the afternoon of April 11, forcing Steele to divert line of march forces away from Shreveport toward Camden. Maj. Gen. Sterling Price’s Confederates returned to Prairie D’Ane on April 13, falling upon Steele’s rearguard under Thayer. After a four-hour battle, Price disengaged, and Steele’s column continued to Camden, occupying the city. The Battle of Prairie D'Ane (also known as Prairie De Ann, Gum Grove, and Moscow) was fought April 9–13, 1864, in Nevada County, Arkansas as part of the Camden Expedition of the American Civil War. In 1864, Prairie De Ann was a circular body of land surrounded by forest, 25 to 30 miles square, a wellknown landmark one hundred miles southwest of Little Rock. The prairie was something of a crossroads; to the west lay Washington, Confederate capital of Arkansas, to the east lay the heavily fortified city of Camden, where many Confederate troops were headquartered, while to the south lay the strategic Little Red River and Shreveport beyond. 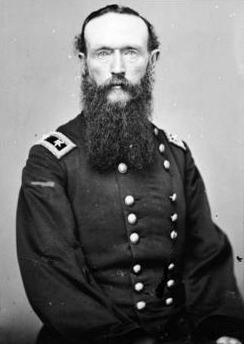 On April 10, Union Major General Fred Steele’s forces, combined with Brig. Gen. John M. Thayer’s division, marched south from the Cornelius Farm. They soon encountered a Confederate line of battle at Prairie D’Ane and attacked, driving it back about a mile before being checked. Skirmishing continued throughout the afternoon of April 11, forcing Steele to divert line of march forces away from Shreveport toward Camden. Maj. Gen. Sterling Price’s Confederates returned to Prairie D’Ane on April 13, falling upon Steele’s rearguard under Thayer. After a four-hour battle, Price disengaged, and Steele’s column continued to Camden, occupying the city. The site of the battle, the Prairie D'Ane Battlefield is listed on the National Register of Historic Places and is part of the Camden Expedition Sites National Historic Landmark.